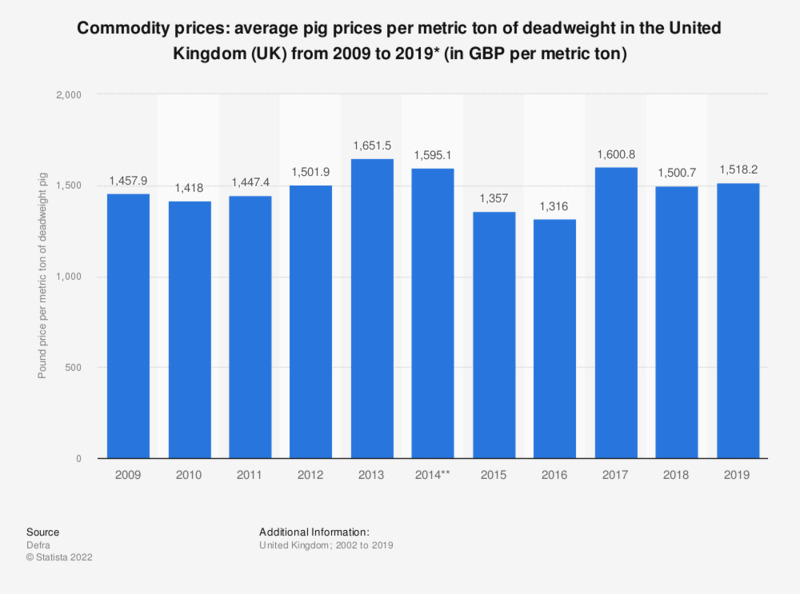 This statistic shows the average price per tonne of pig in the United Kingdom (UK) from 2002 to 2018, according to published agricultural and commodity price figures. In 2017 the price of pig was 1,080 British Pound Sterling (GBP) per metric ton. * Full year data not available, only January 2018 included. ** Average Pig Price (APP) for April to December of 2014.